Sometimes you’ll see a a service account in SQL Server that you can’t easily find in Active Directory. Say you want to find the service account for processing Adverts. This was frustrating until someone reminded me that it was probably outside the corp domain that holds the mostly human users, like me. Your domain is the default domain for the AD cmdlets. So how do you search other domains? Use Get-ADForest to list all the domains in your forest. If you want to search all the domains, just set up a pipeline. Select UserPrincipalName at the very end to distinguish the different domains. Thanks to Steve Mahoney on the PowerShell.com forum for explaining this. Sometimes when you create a folder on the desktop, Windows 7 does what you ask, but aks bugs out, asks a stupid question, and then renames every file on your desktop. 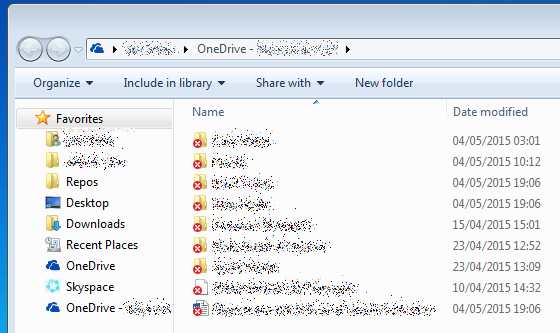 The bug is that the folder name gets applied to every item on the desktop. The silly part is that it freezes the desktop while it warns that you can’t rename the Recycle Bin. You can undo the bug at the expense of losing the name of the new folder, so it’s not disastrous. It’s just stupid. Filing this here because Microsoft I don’t know where to file public bug reports for Windows 7. When I did search for help on the error code, I found a Technet post describing the same issue. No reason or solution was proposed. At Sand Port we made a media center out of my Xubuntu ThinkStation. Now we have an easy central place for listening to tunes and watching fireplaces. We’re a pretty lazy bunch, and often fiddling with laptops while something is on the TV. Wouldn’t it be great if we could control the media center without even lifting our hands from the keyboard? I want to make it easy for others, so setting up an RDP server seemed like the best solution. Windows has a built-in RDP client so my flatmate wouldn’t have to install any software. To make this work in Xubuntu I used xrdp and vino on the server, and on the testing client I used nmap, freerdp and remm1ina. The first step is find the media center from my laptop. Use nmap -sn (ping scan) to find hosts on the local network. Three IPs: 1 is the router, and 6 and 10 are my media center and laptop. Which way round, though? I ran ifconfig at the media center to find out its own IP address. The output tells me I can use 192.168.0.5 to refer to it on the local network. Setting up the actual RDP server is as simple as installing a package. The default port for the RDP protocol is 3389. Check just this port using nmap on the laptop. Previously I locked down the media center ports using the gufw firewall. I made an exception for all incoming connections on port 3389. Now the port is open. Install freerdp on the laptop. It’s a command line RDP client. Use freerdp to connect to the media center on the default port. Got a log in screen. So far so good. Login appears to be successful, but all I see is a blank screen. Rubbish. You have to put the name of the desktop manager in a file called .xsession in the sandport home directory. Some of the icons look wrong, but I can live with that. The main issue is that this actually creates a new desktop session. What I really want to do is share control of the existing desktop so I can queue stuff up on Spotify. Ubuntuwiki has a guide to desktop sharing with Xrdp that contains almost everything I needed. Back to the server to install vino, a desktop sharing server for VNC. This works because xrdp actually uses VNC on the server and talks to clients using RDP. Unfortniately I saw this error because Vino doesn’t start automatically on XFCE. To make it start in XFCE you have to add XFCE to the list of desktops in the autostart file. for an instance of vino server listening on port 5900. For convenience rearrange the desktop options in /etc/xrdp/xrdp.ini so that the main desktop (console) is at the top. Make the username blank so that all you hve to type is the password. Use Remmina for everyday RDP use in Xubuntu. It’s like the best of the Windows built-in client and RdpMan. You can save connection settings and you get the floating menu when you are connected. Remmina’s awesome feature is thgat it automatically scales the desktop to fit your screen. Useful if your main desktop is on a widescreen TV! The Windows client actually supports this too, but it’s hidden. Right click on top-left icon and choose “smart sizing” to fit the large screen into the smaller one. 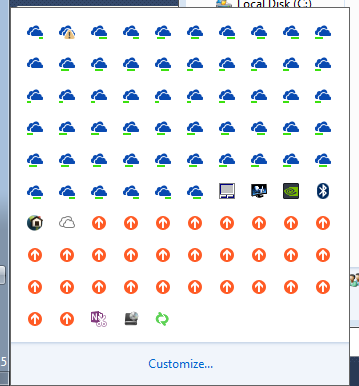 Getting remote desktops (not shared) was enough of an acheivement, so I plaued about with those for a while. Evnetually youĺl get this message if you keep not logging out properly. I followed the advice of Linux Toolkits to delete old X sessions and restart the xrdp. Looked at -var-log-xrdp-sesman.log and saw that it still thought it had ran out of displays. Instead of just upping MaxSessions to 100, I reset the X11DisplayOffset counter to 1 and restarted the server. At some point something messed with the ownership of an .Xauthority file. Unable to copy the user’s Xauthorization file.”. I thought it was just Xubuntu being weird about something. But when I restarted the media center it prompted me for a password, even though I asked it not to. And when I gave it the password it just asked me again, and again, and again. CTRL + ALT + F2 got me to the emergency shell and I could log in there. So I learned a lot of useful stuff, and gained some appreciation for how well tested Windows is!